Terry Gray’s old slides found! 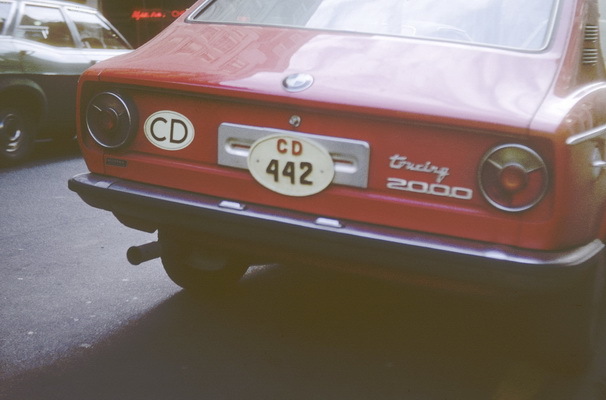 Terry Gray has located the pictures he took on colour transparency film from the 1960s/70s! They were thought to have been lost in a house move, 30 years ago…. 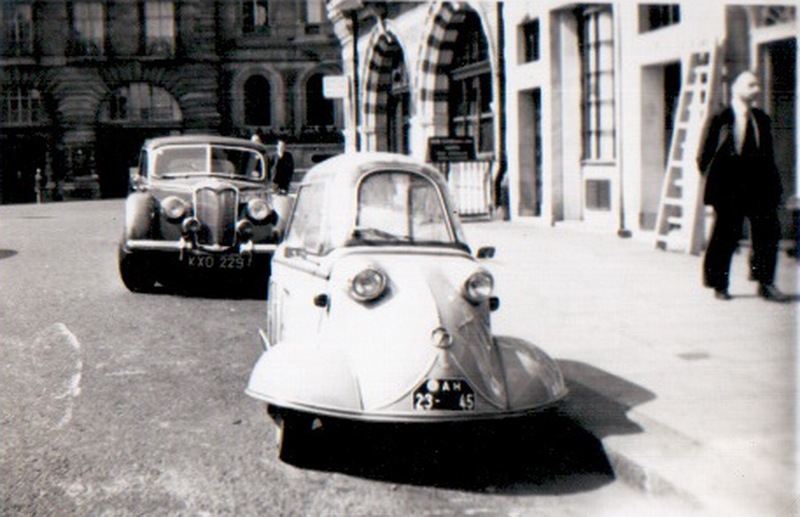 in Southampton, who speedily transmogrified them into digital pictures which now we can all see – providing we have access to a computer…. 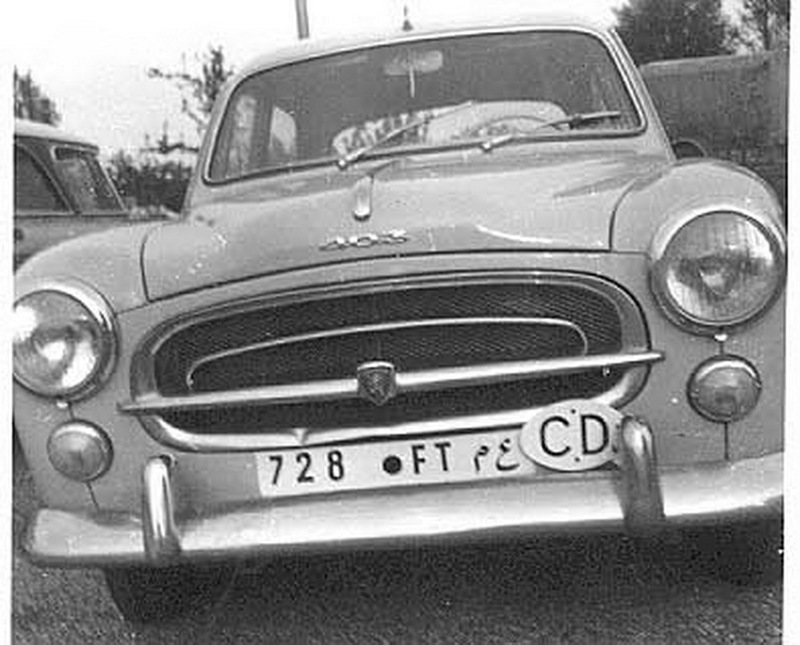 This is another wonderful event for Europlate and platesmen worldwide, as a few more rare images of extinct series appear unexpectedly before us, on the Europlate Blog! What with the recently-released photo gallery of John Pemberton, and now his notated spottings from 1954 (more to come) and the slow release(!) 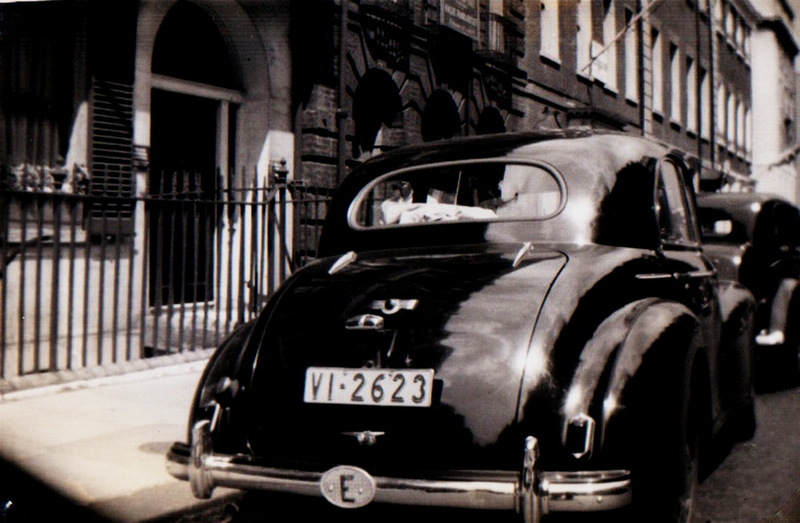 of Bernt Larsson’s early shots, the Gray archive becomes our latest link with the past days of xeno-autonumerology. Many thanks to T.G. – early member (number 9) for clearing the attic! 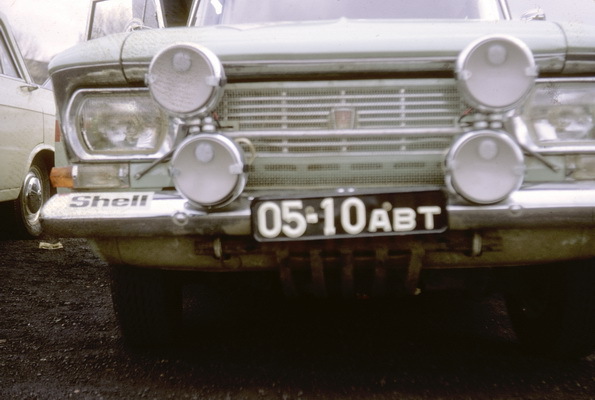 I am fairly sure that the USSR plates with an ABT suffix were manufacturers’ plates for an organization called Autoexport who managed the export of Moskvich cars and vans. Cedric Sabine adds: The 1959 Soviet ABT series was for any vehicle travelling out of country and was issued by Moscow city. 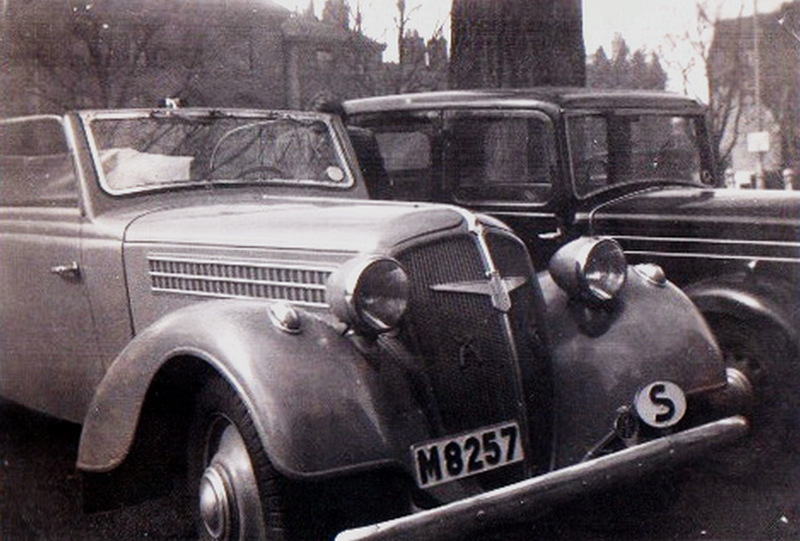 So, the export Moskvich cars would indeed have got them but other vehicles did too. 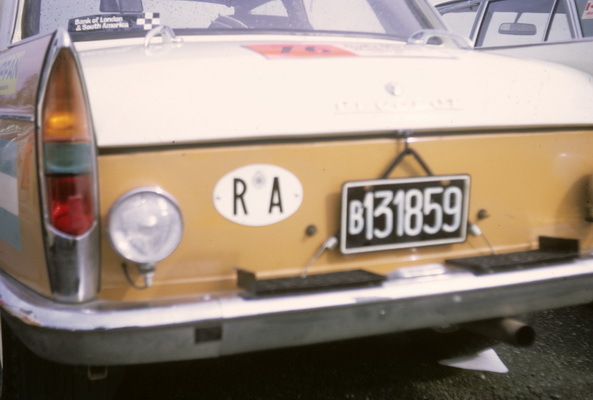 VB: That would explain why Terry Gray pictured the Moskvich team in London, preparing for the start of the London-Mexico Rally in 1970. 21-2014 THANKS, CEDRIC! What a batch!! This Triumph Toledo(?) has been to Saint Helena and back(! 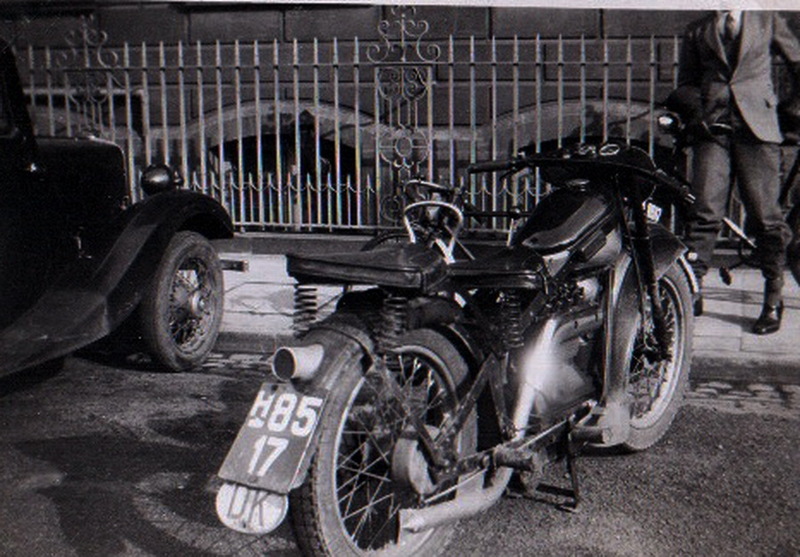 ), and was photographed in Northamptonshire on its Helenan 669 plates. St. Helena has also been seen with an SH prefix. 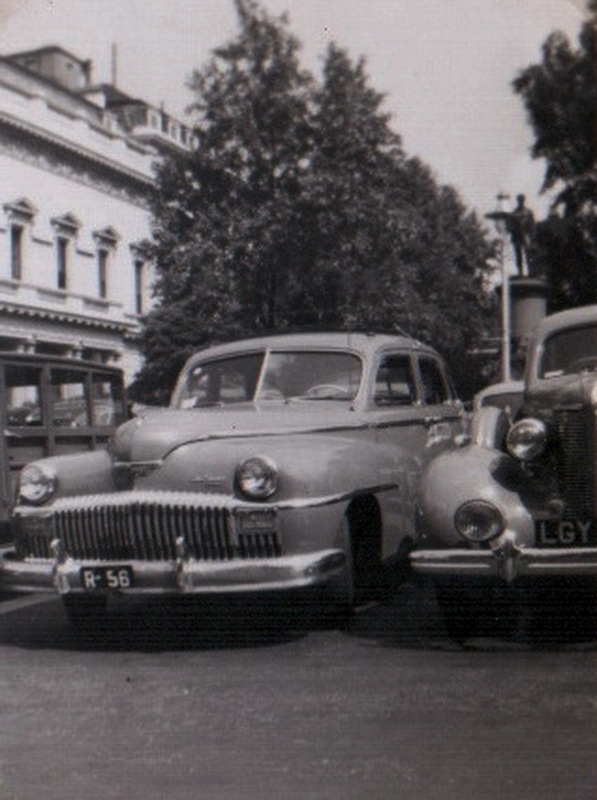 The owners were British government officers involved in the administration of the Territory, and their cars were returned at the conclusion of their duty there..
SYR 2480. 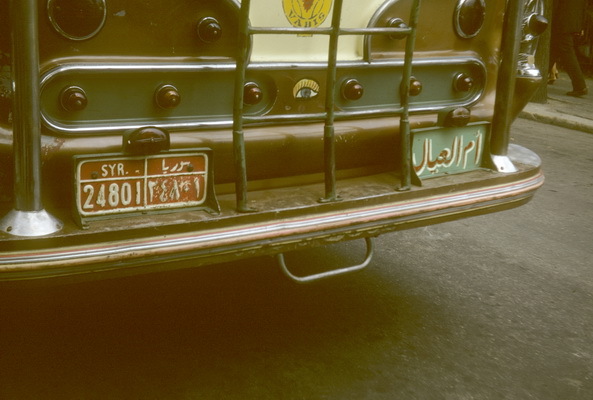 Between the 1950s and the 1970s, red plates in Syria were issued to public service vehicles including buses, which is what TG photographed in London in the early 1970s. Serials 2001-12000 were issued to Damascus. Long trip! 16564. 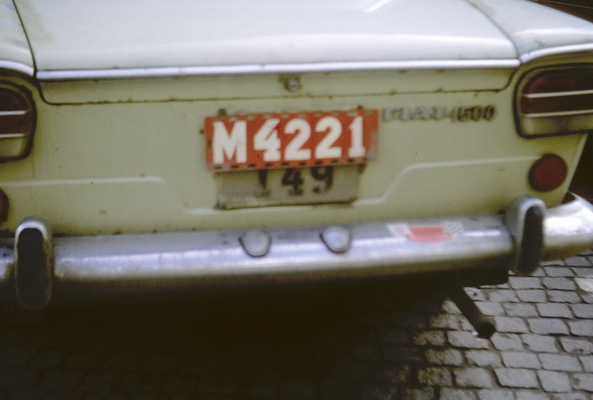 One of very few 1960-1970s Somalian plates seen was photographed – also in Northamptonshire -on a Mk 3 Ford Cortina, circa 1974. These were oddly well-made plates for such a backward territory; perhaps they were made for them by an international aid process – possibly Italian, as the former colonial power? 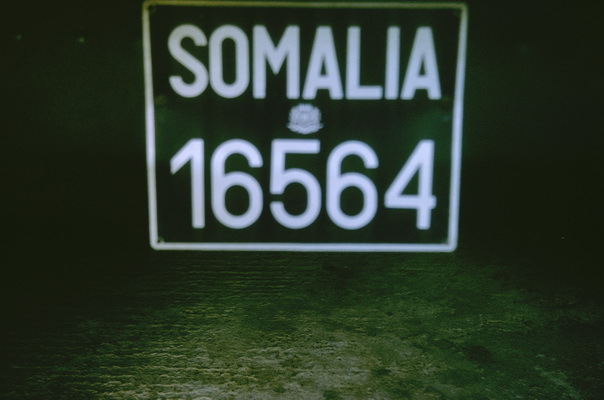 In recent decades, the few Somalian vehicles seen in news broadcasts have generally run without bearing plates, as no registration system exists. Breakaway Puntland (1998), Galmudug (2006) and Somaliland (1996) have established their own systems (see RPWO). 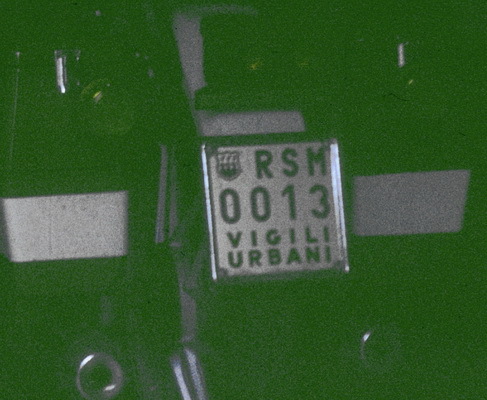 Somalia mini front plate, a la Italiano. 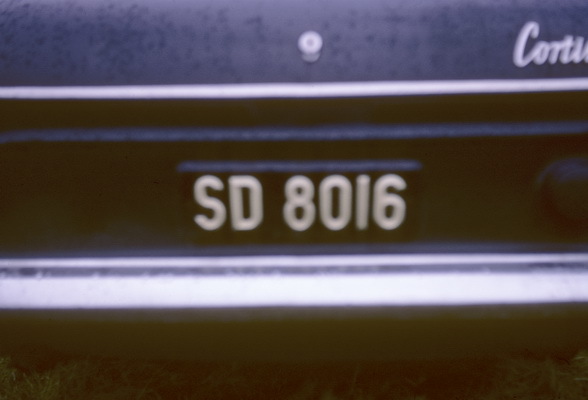 SD 8016 is from the original Swaziland series running from the 1920s to 1979. This Mk. 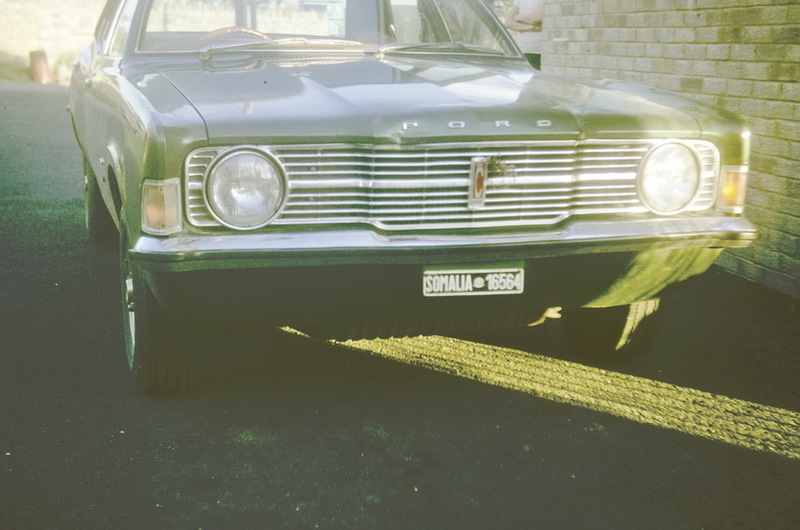 1 Ford Cortina was seen near Brackley, England, during the 1960s. 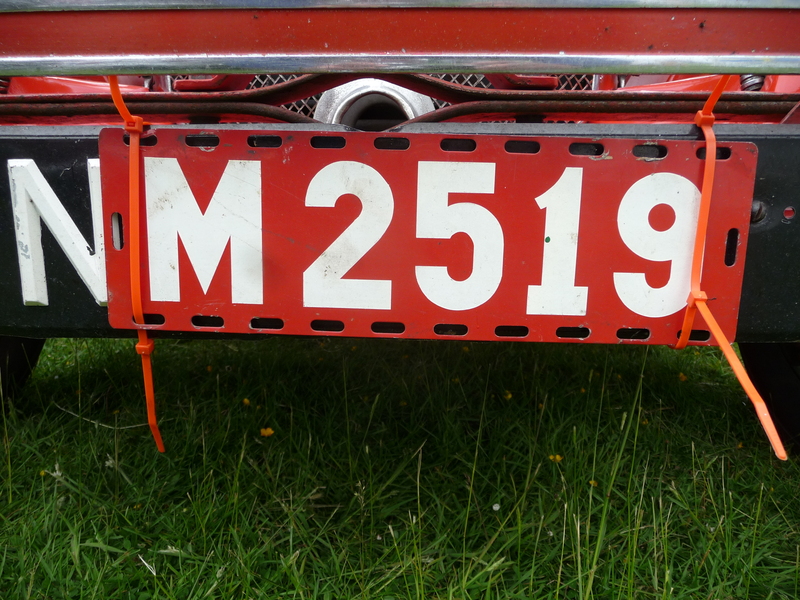 From 1937 to ?, these white on red Swedish plates were issued to vehicles temporarily imported. 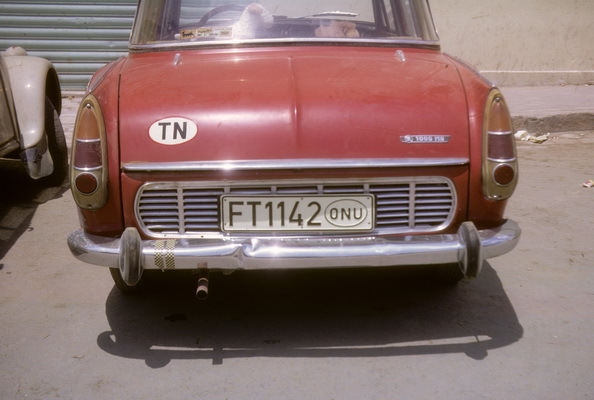 Terry Gray saw this Fiat in Europe in the 1970s, carrying a normal Swedish plate of the period underneath. 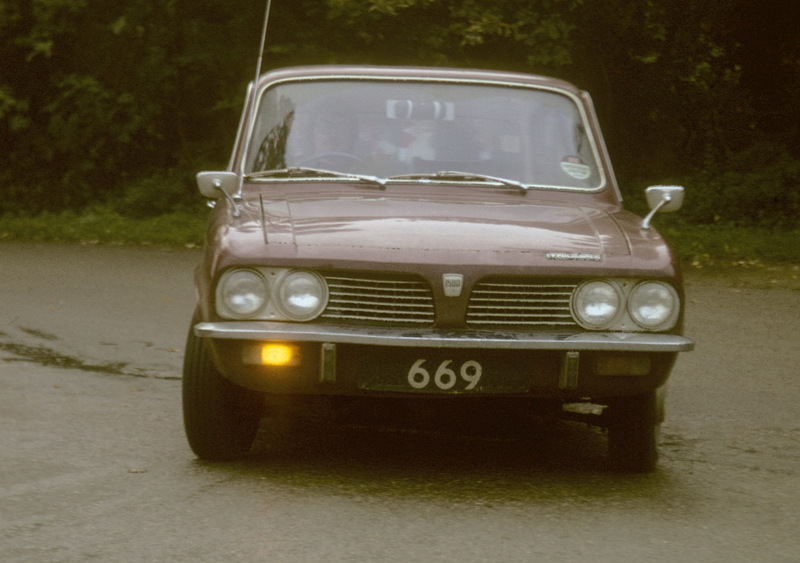 These and hundreds of others were taken in Britain in the 1960s and 1970s and captured by Terry as slide transparencies, which are difficult to view except by old projectors, but give a very clear and well-coloured image, when converted to computer files (.jpg). Any readers who have slides, might consider their conversion thus; the lady Corrie who did these being highly recommended AND economical! These early pictures are of varying quality and interest, but still need to be exhibited for the sake of the members. They are now identified to save readers’ energy…. 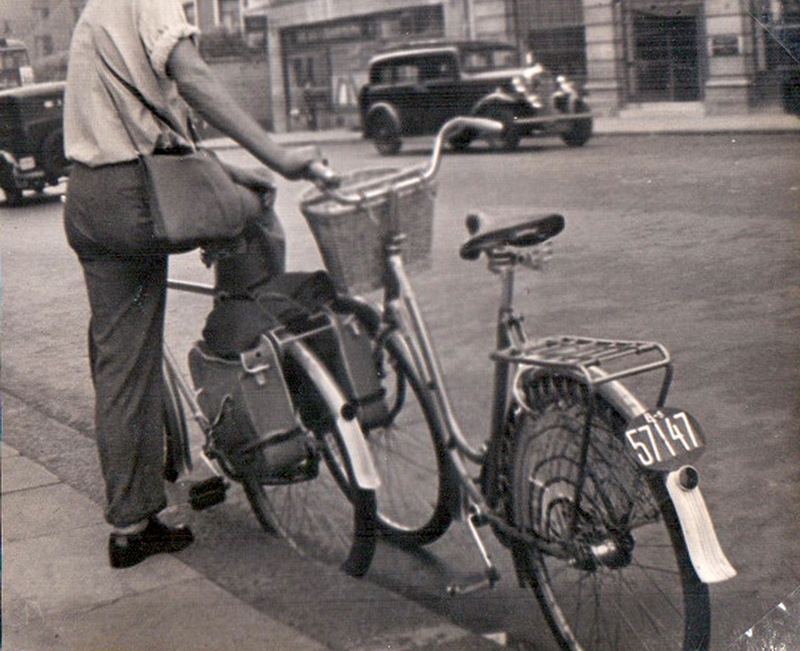 Swedish bicycles had plates, too! 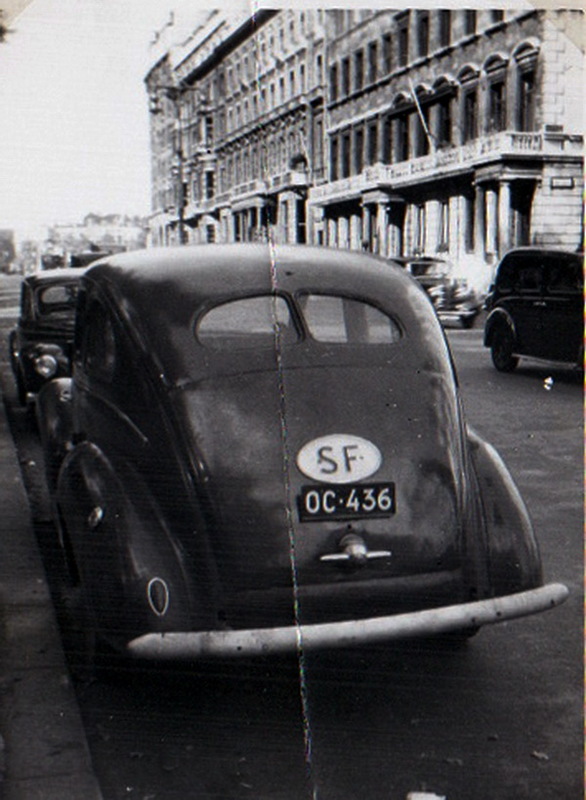 57147 here, in London, if that’s a London taxi at left…. N 39. – . 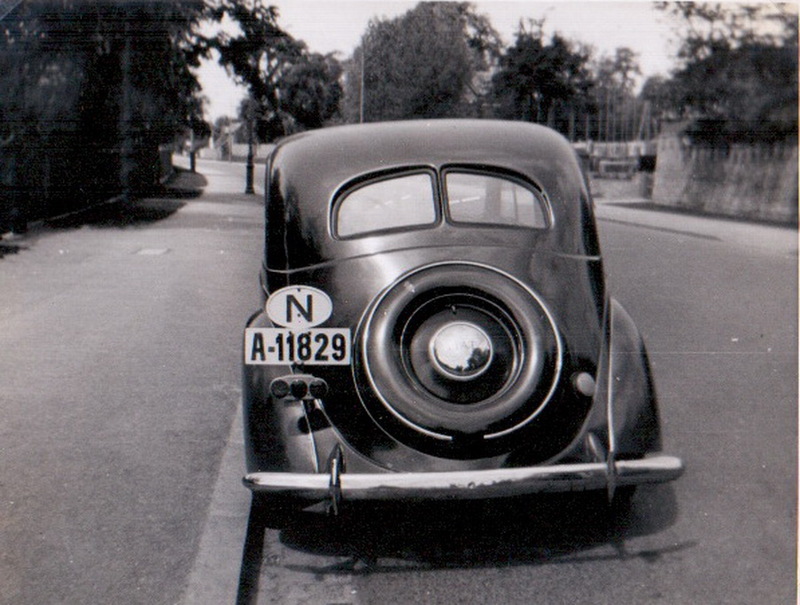 A low number from N=Halland (Hamstadt) by John Pemberton in 1940s Denmark. 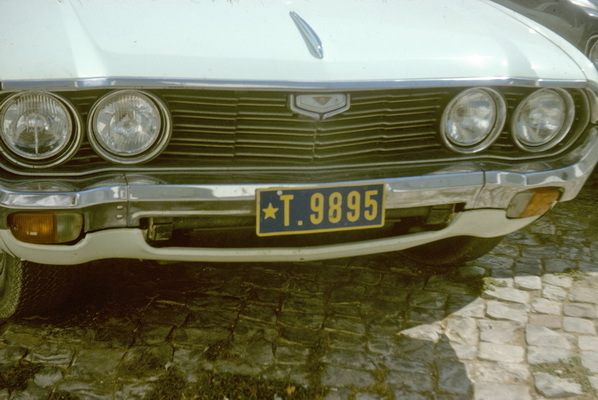 An American Mercury. Pemberton archive. 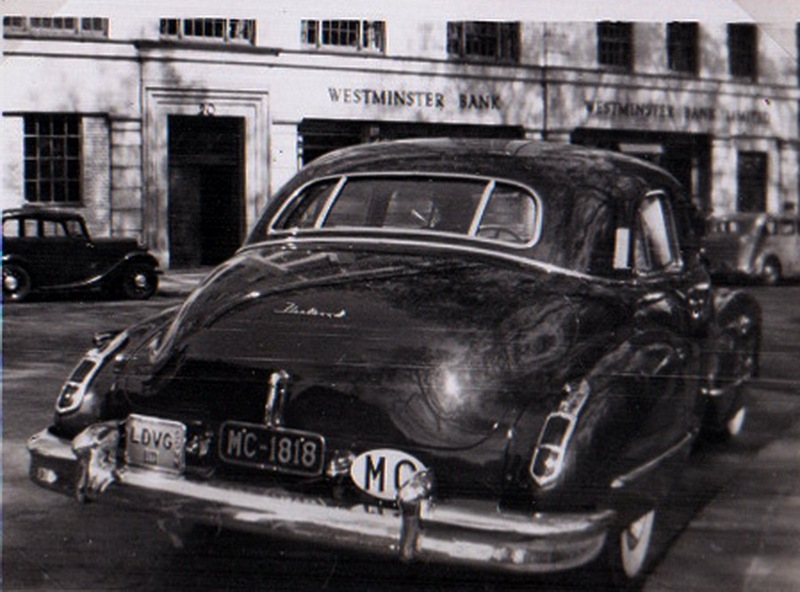 B/H 25-3323 from Hamburg in the British Zone from 1948-56. Note the massive ‘D‘oval. 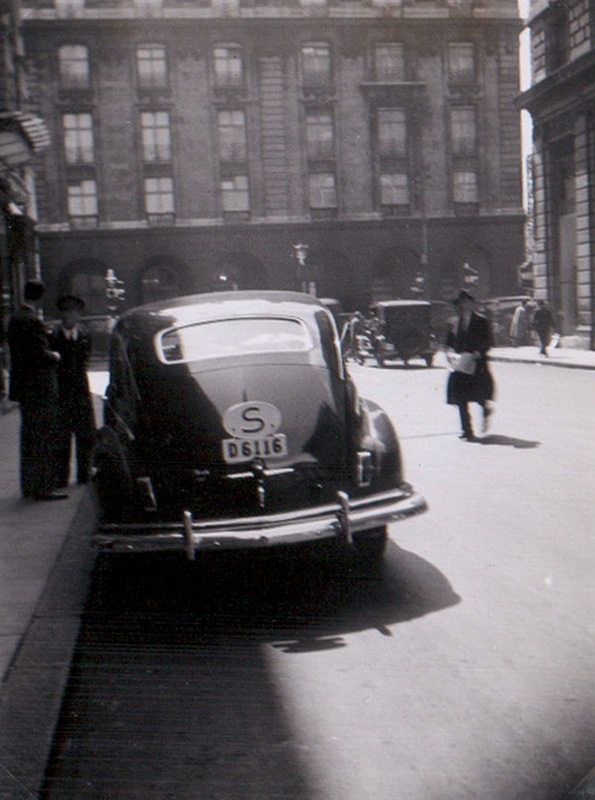 Somewhere in England on an Opel, by J. Pemberton, 1949. 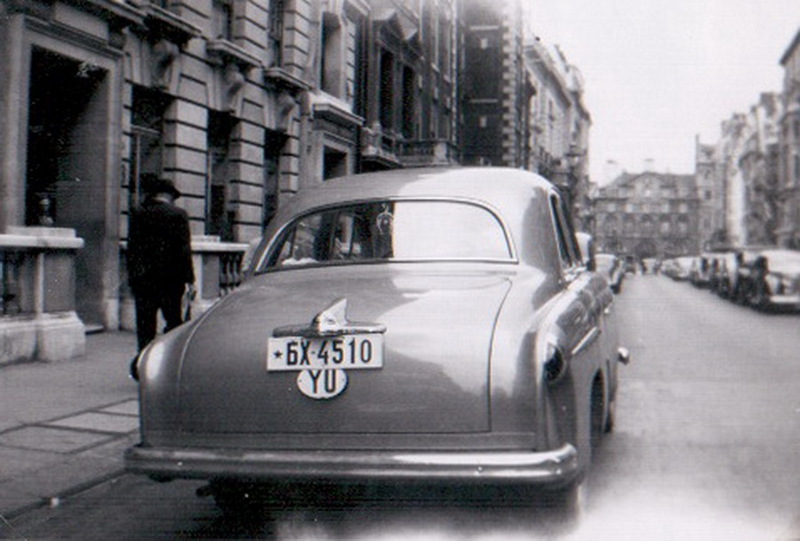 A Finland pre-war Opel A-5026, coded A for Helsinki (Helsingfors) using the 1940 issue of the 1930-49 series, photographed by John Pemberton in Scandinavia. The motorcycle with the DK plate is a rare Nimbus 4cyl in line down the frame machine. The only Danish motorcycle manufacturer I believe. Roger Kimbell. 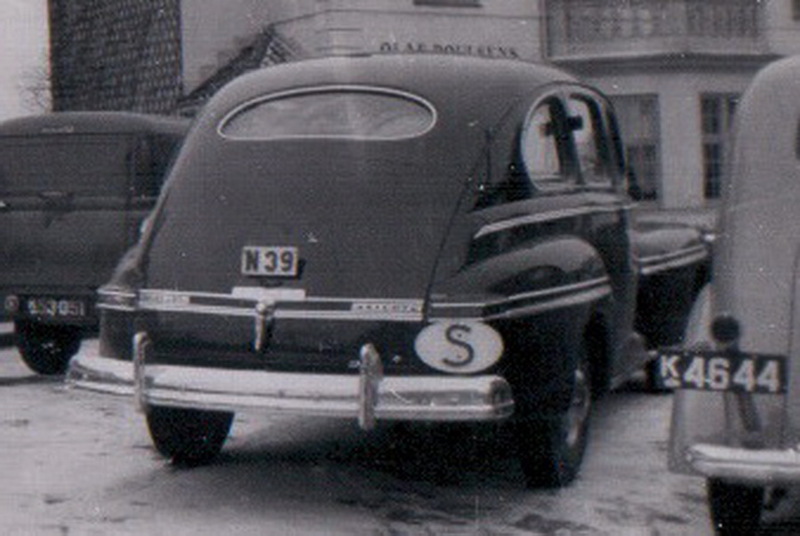 Luxembourg series showed LUX below on the rear plate and above on the front plate. 6681 here on the series which ran from 1895 to 1940(! 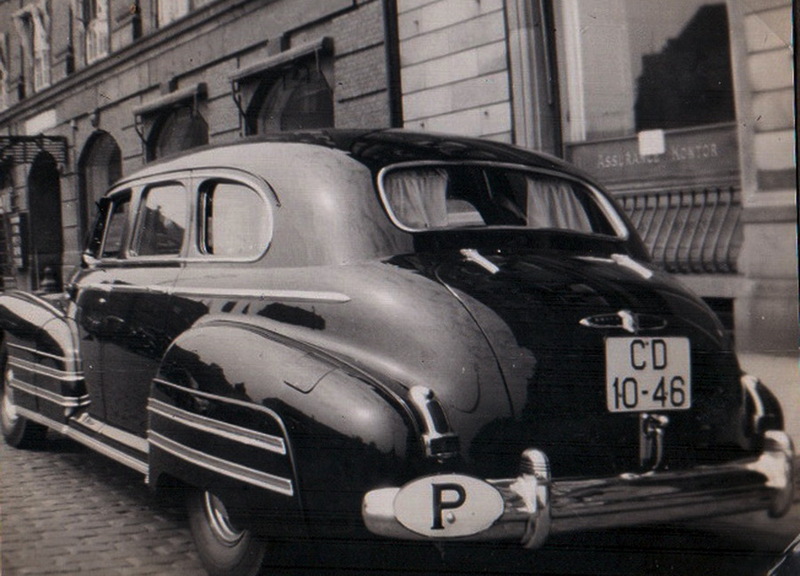 ), although, oddly, this Buick(?) 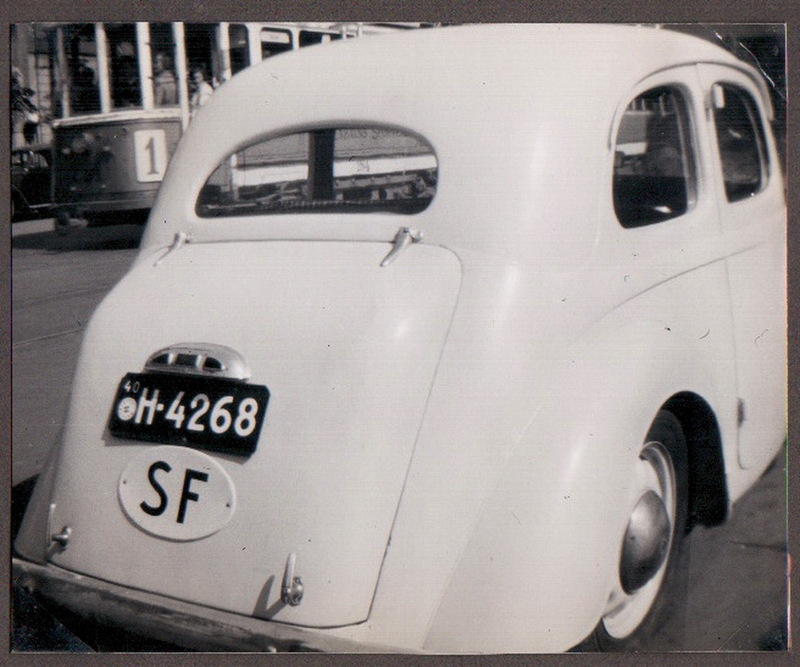 and photo are from the 1950s…. John Pemberton picture, taken in Denmark. 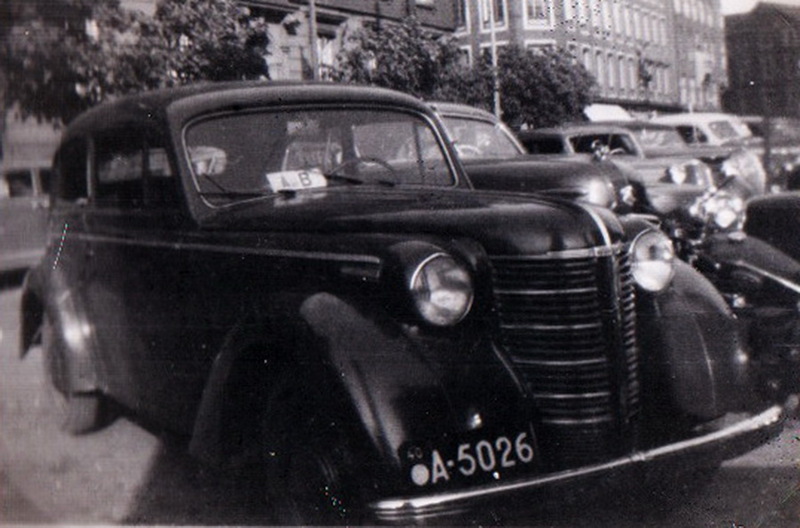 F 647 — F=Buskerud, Norway, taken in Denmark by member Pemberton, during 1940s. 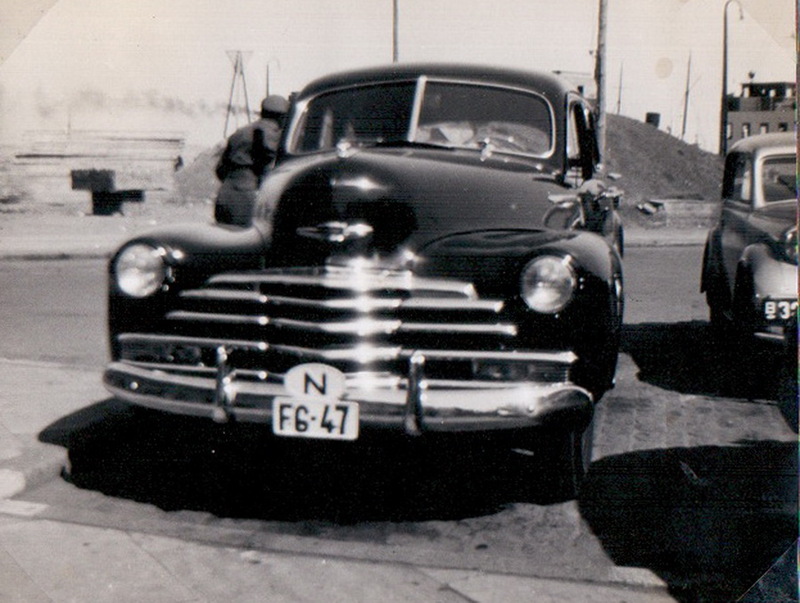 Another unknown American car model. 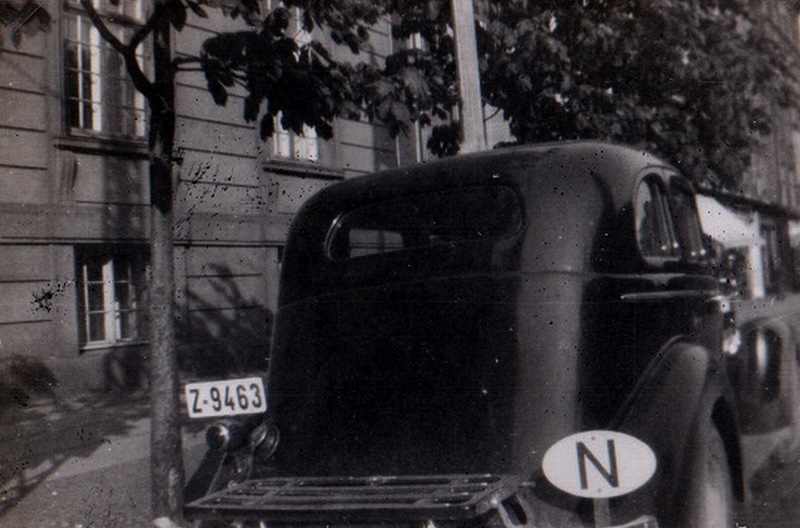 Z-9643 on a pre-war car from Norway, where Z coded Vestfold from 1929 to 1971. 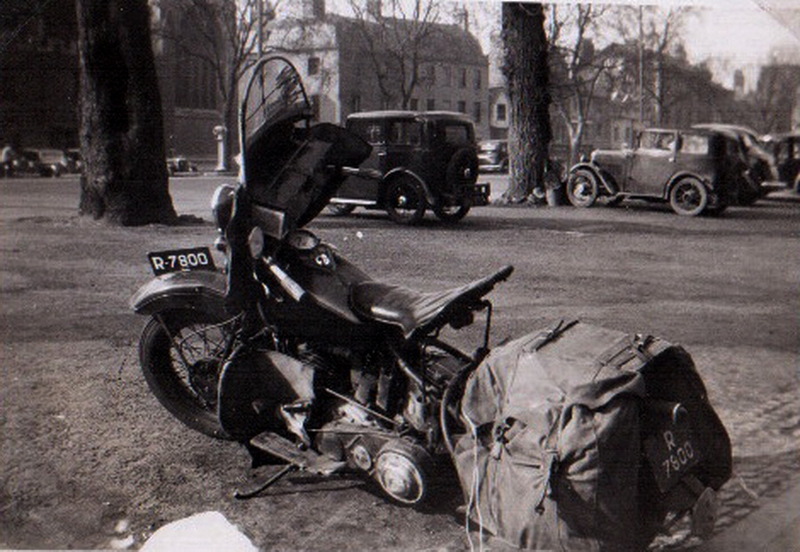 R-7800 is a Dutch Harley-Davidson motorcycle in Oxford. 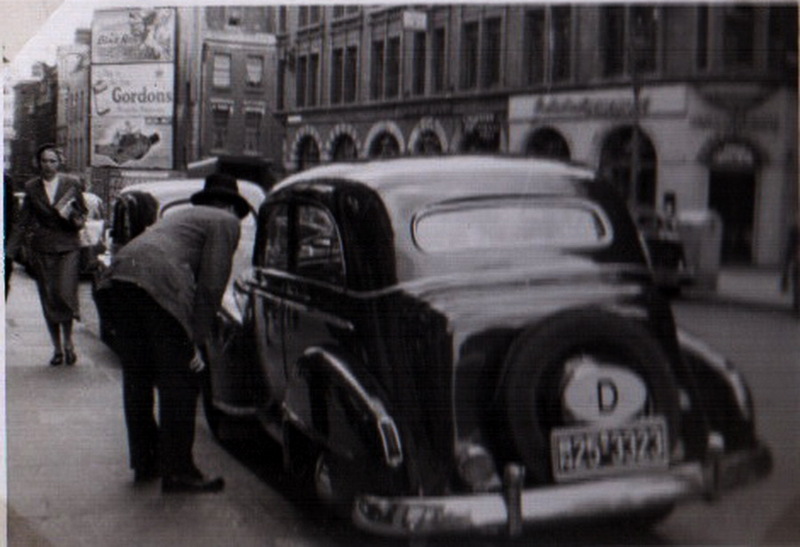 R was a special allocation for temporary/foreigner registration from 1920 to 1951. Pemberton archive. 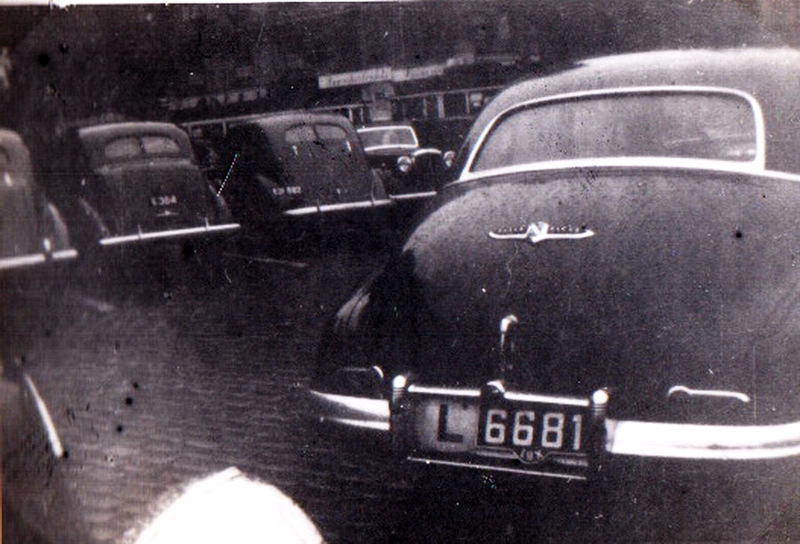 Alex Kafka writes: This Monegasque photo MC-1818 is doubly interesting: if I’m not mistaken, “LDVG” to the left of MC-1818 is a Connecticut vanity plate, metal validation tab included. You may need to download and enlarge the photo to see the vertically aligned letters “CONN”. 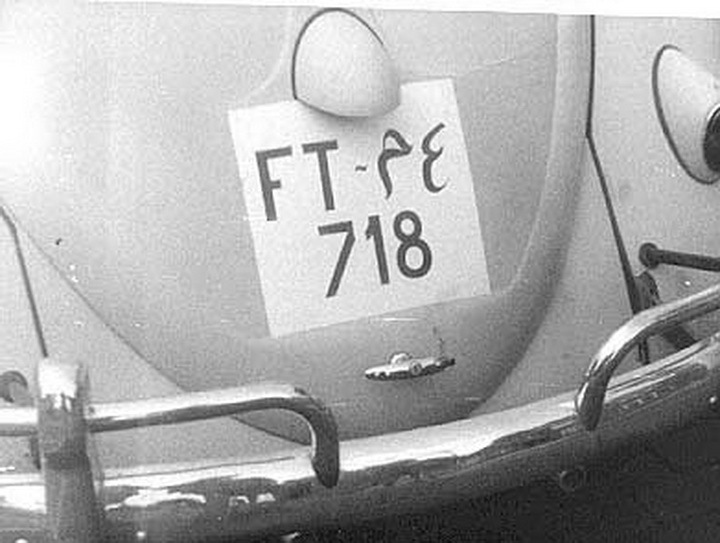 This style was used from 1937 to 1947, and 4-letter personalized plates were allowed from 1945 [RPWO paragraph (y)]. 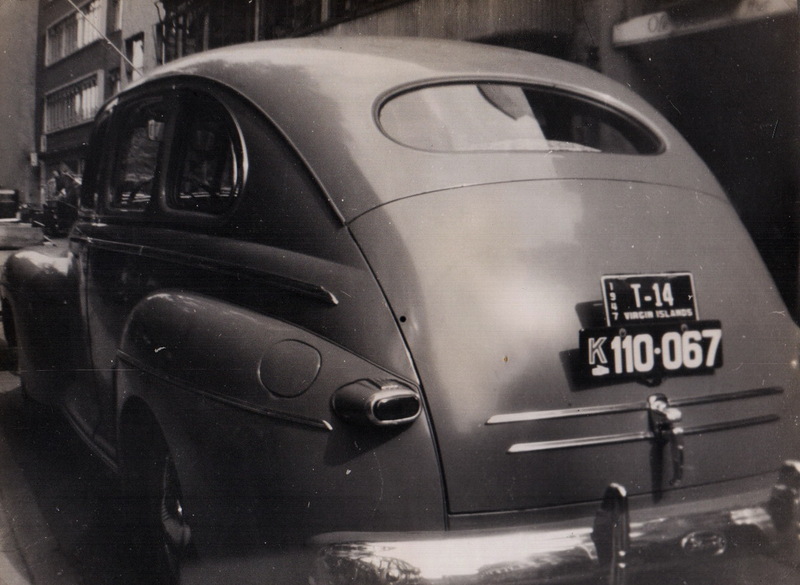 So this CT plate must be from 1945-47. 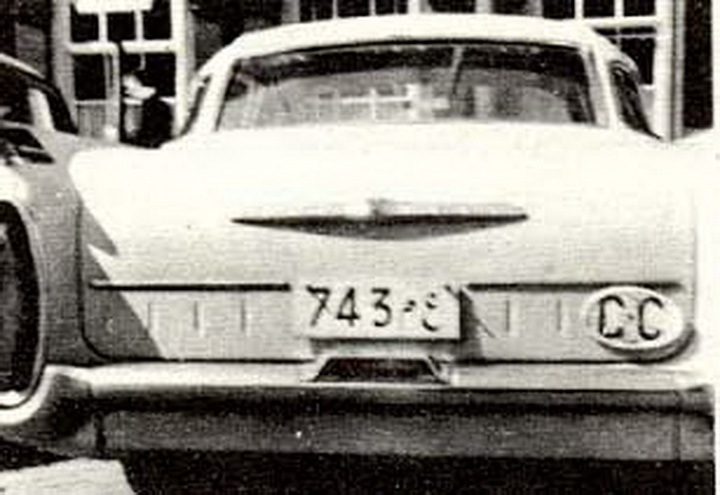 Connecticut was the first U.S. state to introduce personalized plates (called “initials plates”), already in 1937. Only two or three letters were permitted at first. 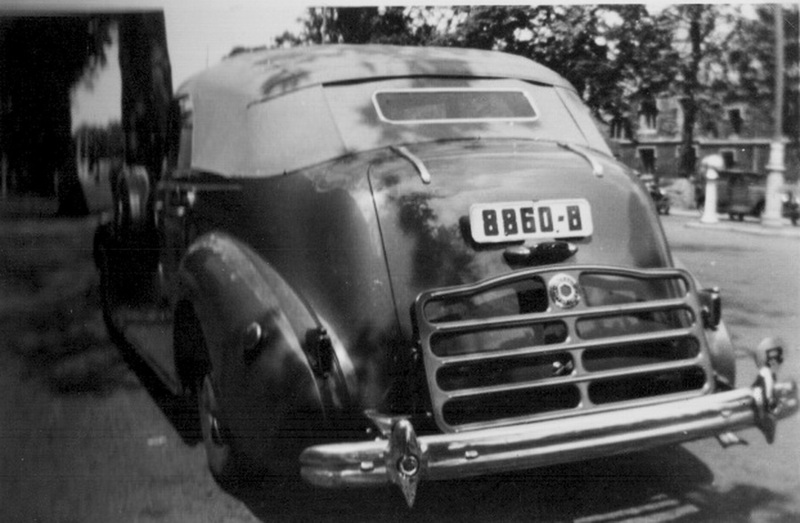 John Pemberton shot this double-plated Cadillac Fleetwood in London around 1947. You are currently browsing the archives for the Roumania category.